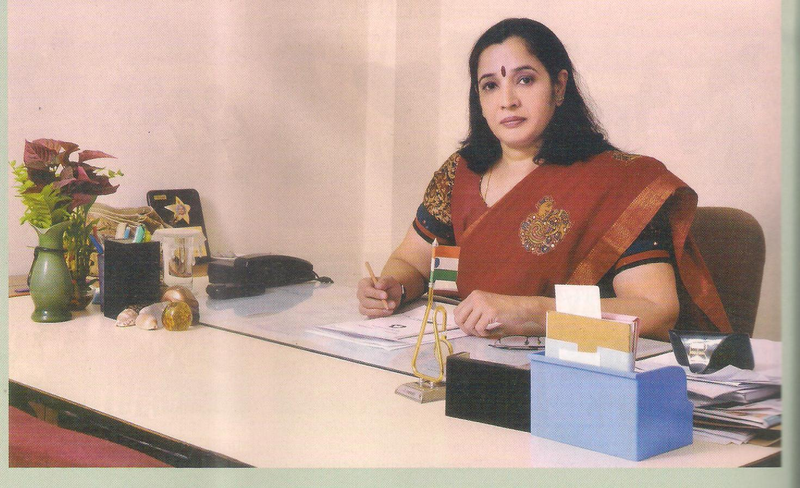 Mrs. Shobha Jaishankar (M.A, M.Sc, B.Ed), the proud recipient of (Late) Shri . T . Chandrasekhar Reddy Memorial Award , was appointed as the Headmistress of the Junior Section. She has been associated with the school for the past 20 years. A multifaceted personality, she is also the Head of Science Department and continues teaching Chemistry to the Board classes. She is also the coordinator for the Singapore and German Students Exchange Programme. Until 2010 the Nasr Girls School comprised of the Primary Section (I - VII) and the High School (VIII - XII). The Nasr Junior Section was started in the year 2010 when the children from the Banjara Branch School shifted to the main campus. Junior Section was created to provide individual attention and strengthen the academics of the students. Mrs. Shoba Jaishankar was appointed as the Headmistress of the Junior Section along with a group of versatile teachers who can don any role with ease and flair. The Junior School is nestled between the Primary and High School and stands tall amidst the greenary. At Nasr we believe in an overall development of each child. Keeping this in mind, the curricullum is designed to suit the needs of the same. In a span of 3 years, the 11 year olds who join the Junior School in class 6th, are prepared to face the exams and gradually brought up to tackle the ICSE syllabus in the 9th and 10th. At the same time, they are also exposed to extra activities and competitions like oration, declamation, spelling bee, poetry writing which help the students to be speak confidently and write creatively. Nature club, karate, yoga, music, computers and art and craft are an integral part of the curricullum as these help in enhancing the child's abilities and talents. 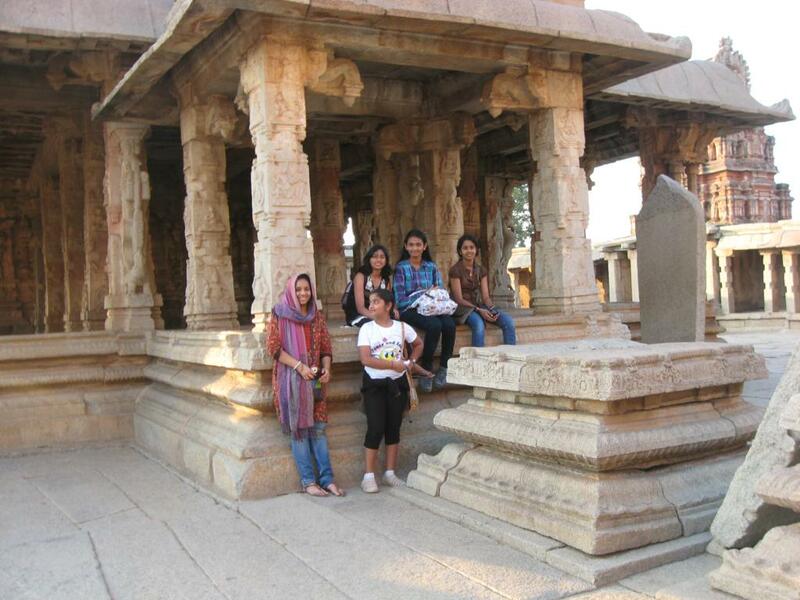 Field trips and educational tours are conducted regularly to broaden their horizon. 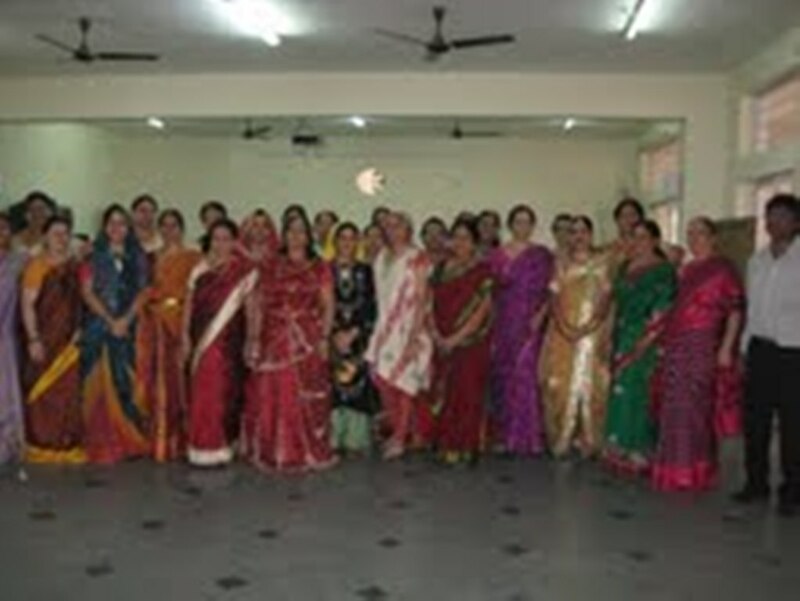 They are even taken to view good movies at the end of each term to help them learn through fun. The school believes that safety begins with oneself. In the karate class the girls are taught the basic manoeuvers of self-defence. 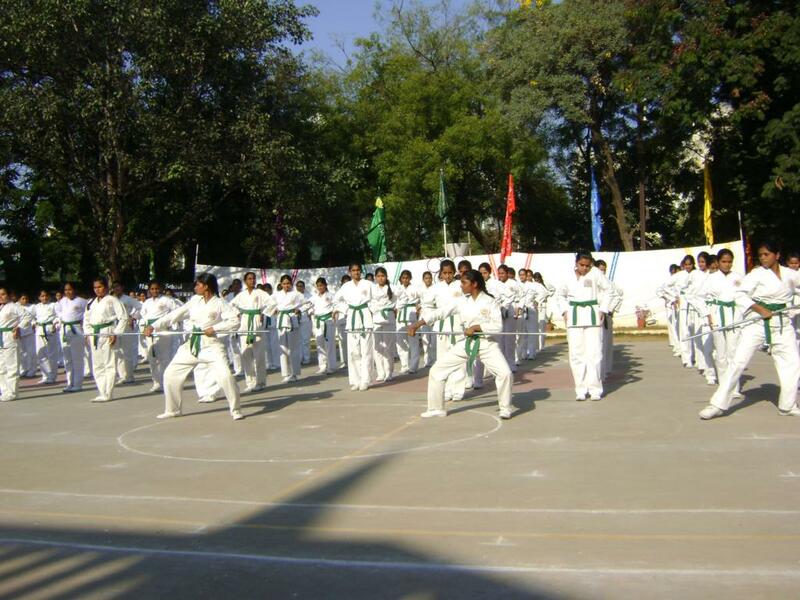 They also perform many breath taking stunts under the guidance of Mr. Ravinder, the karate teacher. By the end of class 8th the girls are proud orange belters. Yoga trains the girls to meditate which helps them to improve their concentration levels and also teaches them asanas to keep them fit and healthy. 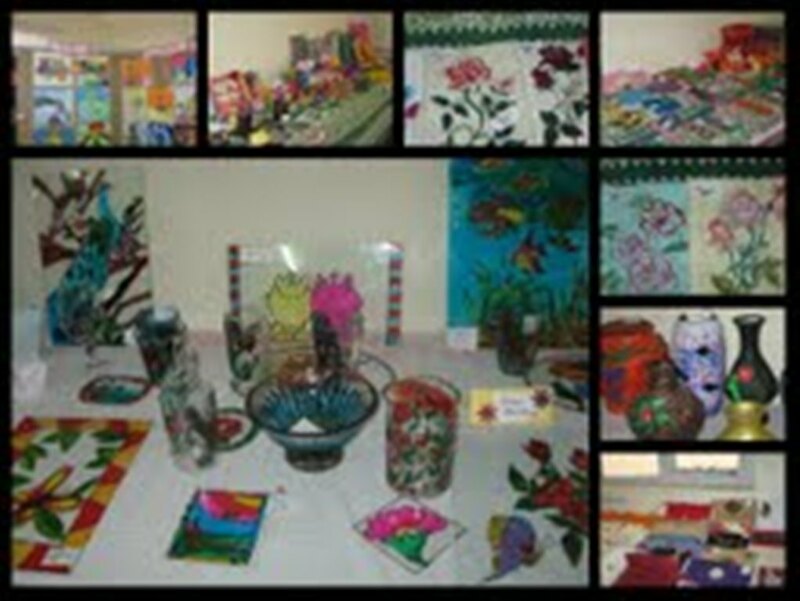 The aim of having art and craft classes is to develop the aethetic sense and to introduce them to needle work.The girls not only learn to stitch but also learn glass painting, pottery and make best out of waste.The beautifully crafted work of the girls is exhibited at the end of each term for the parents to view. 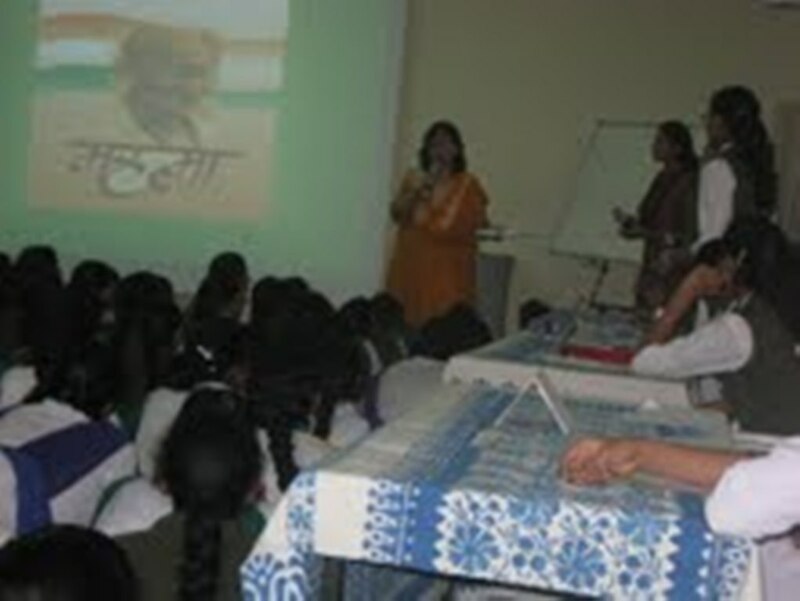 The idea of School Cinema is to help the students to deal with the demanding and hectic lifestyle of today. Films as a medium have an unbelievable impact on society indirectly educating and influencing thousands across the world.School cinema, as a communication tool,subtly encourages and influences the students to make the right choices and reaffirm life skills, values and morals. We,at Nasr, incorporated School Cinema to help the student imbibe good moral values. International maths, science, English and computer Olympiads are regurarly held in which the students score good state ranks.